Bareboat cruise rental – Your dream of navigating your own boat has just come true! Whether you are a licensed boat operator or not, bareboat rental offers you the once-in-a-lifetime opportunity to navigate your very own private speed boat. No license is required for our boats carrying a 30hp engine, thus allowing you to cruise along the majestic Sithonia coastline and the cluster of the Vourvourou islands. 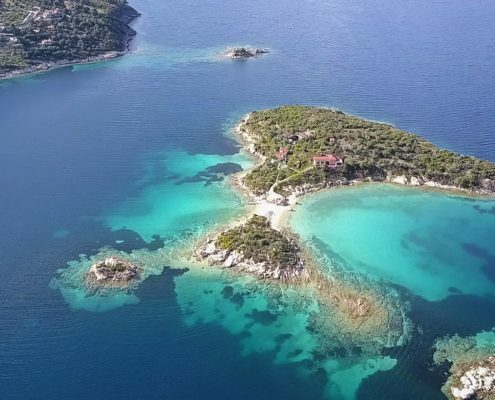 If you do have a skipper license, you can sail further away, and explore Mount Athos, the Ammouliani island, or even the Sporades Islands further south. In bareboat charter, you are fully responsible for the boat and your trip. This includes both navigating and anchoring the boat. In this way, you set off for a challenging sailing experience, which will help you practice and improve your sailing skills. All you have to do is relish the experience of being in total control of a boat. As far as privacy is concerned, there is no better-renting option than bareboat. The only passengers on board will be the ones you choose, whether family or friends. We have lots of suggestions, but you are free to put together your own itinerary, and enjoy a boating adventure with your loved ones in the privacy of your own boat. 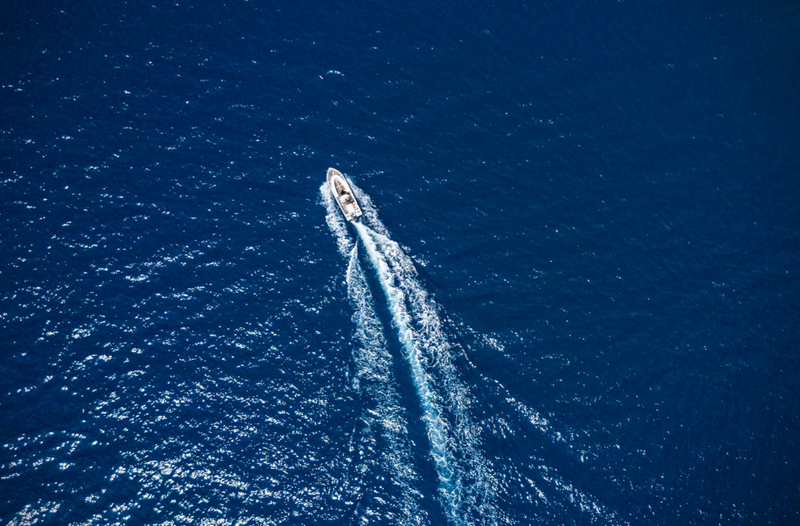 In a nutshell, bareboat charter offers the ultimate sense of freedom and privacy, yet carries full responsibility for the boat and the safety of the passengers on board. All you have to do is accept the challenge, plan your own tailor-made itinerary, and spend an unforgettable day on one of our boats. Want a taste of luxury? Let a skipper guide you on your journey! If you opt for a skippered cruise, Dream Swim will have a professional captain available for you, who will steer the boat, design the itinerary in accordance with your preferences, and be responsible for your safety. There is no need for you to have a license then, as it is the skipper who will navigate the boat, and even teach you a trick or two about sailing along the way. Dream Swim carefully recruits skippers, taking into account their sense of responsibility, their training regarding safety measures, their boating experience, as well as their background knowledge of popular destinations in the Aegean Sea. Your skipper will not only take care of the boat and keep you safe, but can also make suggestions about the ideal itinerary for you, and help you discover those hidden spots you would probably miss otherwise. Most importantly, choosing a skippered cruise you will be free to relax and enjoy every moment of your trip, without having to shoulder any responsibilities. Having a captain around guarantees stress-free vacations, and allows you to focus on relaxing and sharing precious moments with your company. If you wish to have maximum comfort and relaxation, and a lot of quality time with your family or friends, a skippered cruise is ideal for you. 9 Chalkidiki Beaches to visit by boat Why is Halkidiki a perfect destination for your summer vacations?